The Royal Malaysian Customs Department is working on a new information system, known as uCustoms, which will enable effective information-sharing, streamlined procedures, and genuine collaboration among all agencies involved in the clearance process. Customs administrations are under increasing pressure to keep up with the dual challenge of generating revenue and facilitating trade, while protecting society and securing public safety. To do so, many Customs administrations have embarked on implementing complex, high-speed and networked computing systems in response to this dual challenge. Each of these systems and procedures now need to be integrated into the global logistics network used by commercial operators. They also need to allow traders to submit, using a single electronic gateway, all import, export, and transit information required by regulatory agencies. In many countries, it is not uncommon for more than 30 different government agencies to play a role in the processing and clearance of goods. It matters little if Customs declarations can be processed electronically while numerous paper-based documents are still required to be submitted. With this in mind, the Royal Malaysian Customs Department (RMCD) is paving the way for more efficient services by introducing uCustoms, an upgraded version of its national Single Window (SW) based on effective information-sharing, streamlining of procedures, and genuine collaboration among all agencies. The system is to be deployed in phases at all Customs offices nationwide. A simulation to test operations in a technical environment which resembles the production environment is scheduled to take place throughout 2016, and the full-fledged operating system is expected to be launched in 2017. The uCustoms is in essence a set of sub-systems that facilitate trade by allowing traders to submit declarations for import, export and transit transactions, as well as manifests, and to process duty payments online via a secured and customer-friendly portal. The ‘u’ in uCustoms stands for ‘ubiquitous,’ which conveys the idea that the new system is accessible through all sorts of connected devices at all times. The system will also be used by cross-border regulatory agencies, other government agencies, permit issuance agencies, and private sector entities involved in supply chain activities, to issue licences electronically. uCustoms covers the eight main clusters of operations managed by Customs, namely registration and licensing, clearance, audit and enforcement, control and prevention, revenue and accounting, knowledge management, system management, and technology. The Customs Consultation Centre, which will serve as the helpdesk for uCustoms, and provide further support to the business community. The development of uCustoms started with the implementation of a business process re-engineering, or BPR, which involved a fundamental change of thinking, and a radical re-design of processes and procedures to improve the efficiency and effectiveness of service delivery. The development is in line with international standards set by the WCO, thus necessitating input from many parties, such as industry and trade associations, as well as agents and other government agencies, in the creation of a centralized system for processing Customs declarations. The cooperation of financial institutions was also required to facilitate electronic payment of Customs duties, and other future trading solutions. Fig. 1: Our love of technology is perhaps rivalled only by our fear of change. 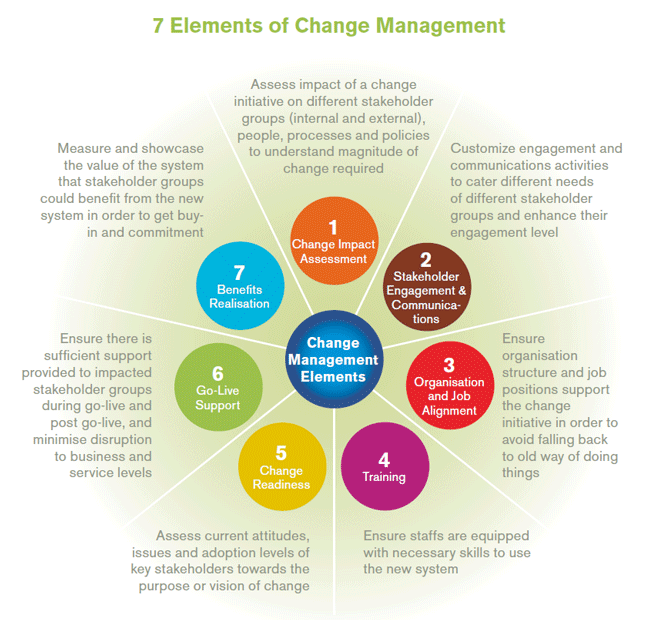 Without a clear change management plan, implementing such a project can be a chaotic and challenging journey. One of the critical success factors of the project implementation stage was to ensure that a proper and structural communication channel was established to keep stakeholders well informed about the development and implementation of the system. To create awareness about uCustoms and to enhance cooperation among all stakeholders, a national awareness campaign was deployed throughout the nation. The campaign was officially launched by the Director General of the RMCD, Dato’ Sri Khazali bin Haji Ahmad, on 28 May 2014 in Kuala Lumpur. It was subsequently rolled out to all states across Malaysia before ending on 20 August 2014 at the Royal Malaysian Customs Academy (AKMAL) located in Melaka. In total, 2,066 participants attended the closing event. Many parties had expressed concerns about the impact uCustoms might have on their activities and whether or not the new system would be of benefit to them, including its potential to address other challenges facing the RMCD. Such concerns were consistently raised by participants during the campaign, which prompted the uCustoms team to conduct a post-campaign survey to see whether the concerns had abated. 1,352 stakeholders from different departments and governmental entities, as well as private sector representatives, including the Airfreight Forwarders Association of Malaysia (AFAM), were consulted after attending presentations on the system’s functionalities, the national SW concept, change management, and training initiatives. The results of the questionnaire showed that 77% of respondents found uCustoms to be extremely useful, 82% were of the opinion that it would be very important to them, and 79% were likely to use the system! The WCO Data Model is a collection of international standards on data and information required by government agencies in relation to the regulation of cross-border trade. This collection was developed by the WCO after careful examination of all relevant international instruments and guidelines, along with national and private sector practices, with the objective of achieving consensus on the manner in which data will be used in applying regulatory controls to global trade. Changes to the Data Model can be proposed through the submission of a Data Maintenance Request (DMR) to the WCO’s Data Model Project Team (DMPT). The DMRs are presented and discussed at plenary sessions of the DMPT, and are incorporated into the next release of the Data Model if supported by at least two WCO Members. During the DMPT meeting held at the WCO from 9 to 13 March 2015, the RMCD delegation presented its new electronic system data requirements to the Team. 106 DMRs were identified by the uCustoms team. During the meeting, Malaysia presented eight DMRs, five of which were accepted, and will consequently be included in the WCO Data Model Package – in the form of Information Packages – to be used by all countries that have adopted the Data Model. uCustoms is expected to improve the Customs clearance process further by reducing clearance times, allowing ample room for pre-arrival risk management processes: Customs declarations will be 80% released based on the cargo risk rating carried out by the National Targeting Centre’s Risk Management System. Moreover, emphasis will be given to post-clearance processes, such as post-clearance audits. Human resources need to be recalibrated as processes are reviewed, resulting in their diversion to the pre-arrival and post-arrival stages, as necessary. The system will also provide a 100% online payment facility to speed up the goods release process. This facility is made possible via JOMPAY, Malaysia’s national bill payment scheme established and operated under the auspices of Bank Negara Malaysia (the Central Bank of Malaysia), with the participation of major international and local banks operating in the country. Tremendous efforts have been made to ensure the implementation of uCustoms, especially through the collaboration of more than 65 agencies in Malaysia, which will either be integrated into or be a direct user of uCustoms for the issuing of licences, permits and exemptions electronically. With the new online system in place, traders may expect a significant reduction in their costs of doing business. The RMCD also hopes that uCustoms will enable the Department to support the economic development of Malaysia, and translate into a better trading environment.